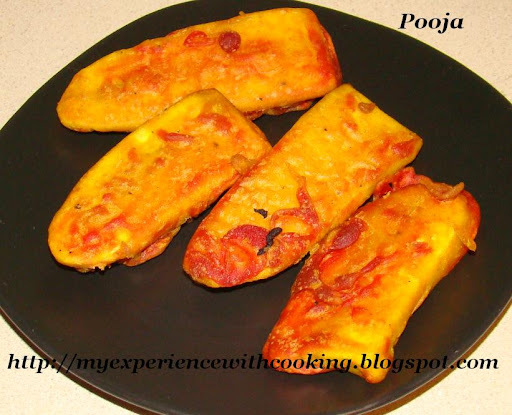 Pazham Pori is another snack from Kerala. I remember my childhood days when my mom used to make this for evening snack and me entering the house hungry and tired after school smelling the fragrance of hot pazham poris. It also brings back nostalgic memories of train journeys in Kerala where vendors sell pazham poris in stations luring people by calling on top of their voices. Peel bananas and cut them into thin slices.Mix all the ingredients except water.Add water slowly and make a thick batter.In a frying pan heat oil at medium heat.When the oil is hot enough dip each banana slice in the batter and deep fry.Remove it from pan and drain off excess oil in paper towels.